Isn’t she a sight? 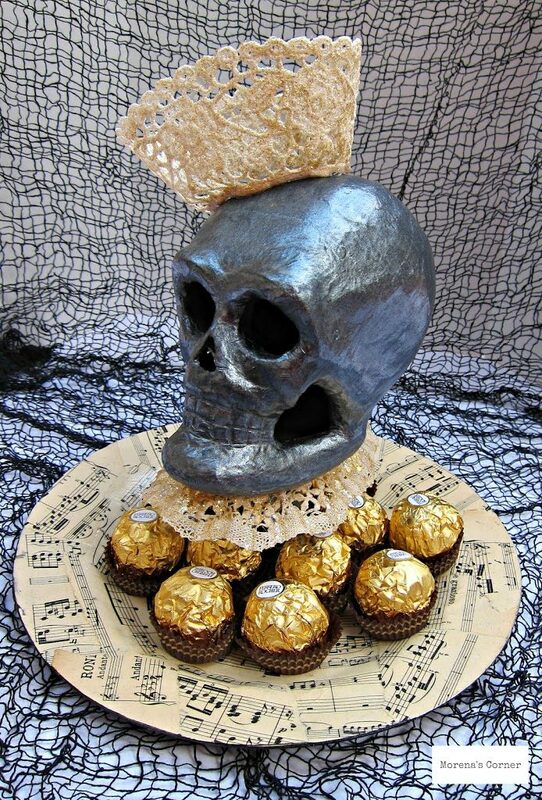 We’ve been calling her the Queen of Skulls candy dish around my house. I wanted something shabby yet elegant, spooky but not to scary, and I think she delivers. First up: prep the lace. I dug into my vintage lace stash, but any lace ribbon would work, too. 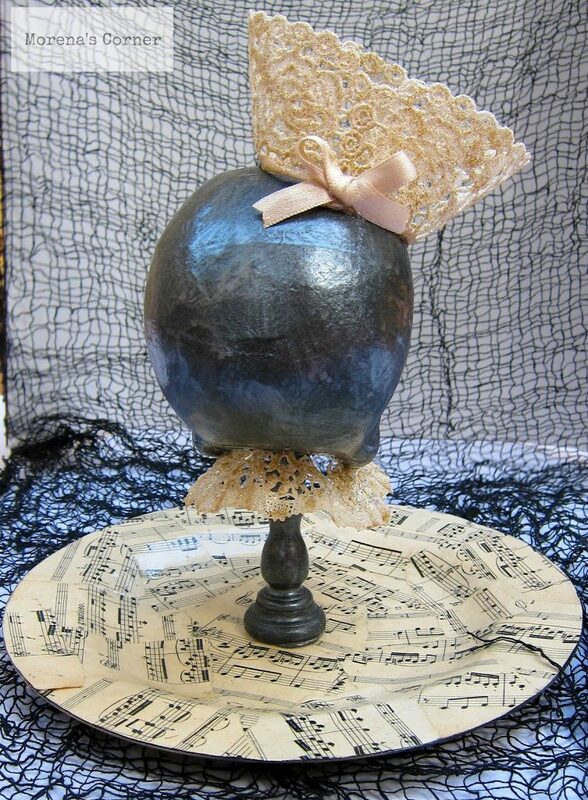 Place it on a piece of freezer paper and generously apply Mod Podge Glitter to lace. Flip it over and repeat on the other side. Let dry. 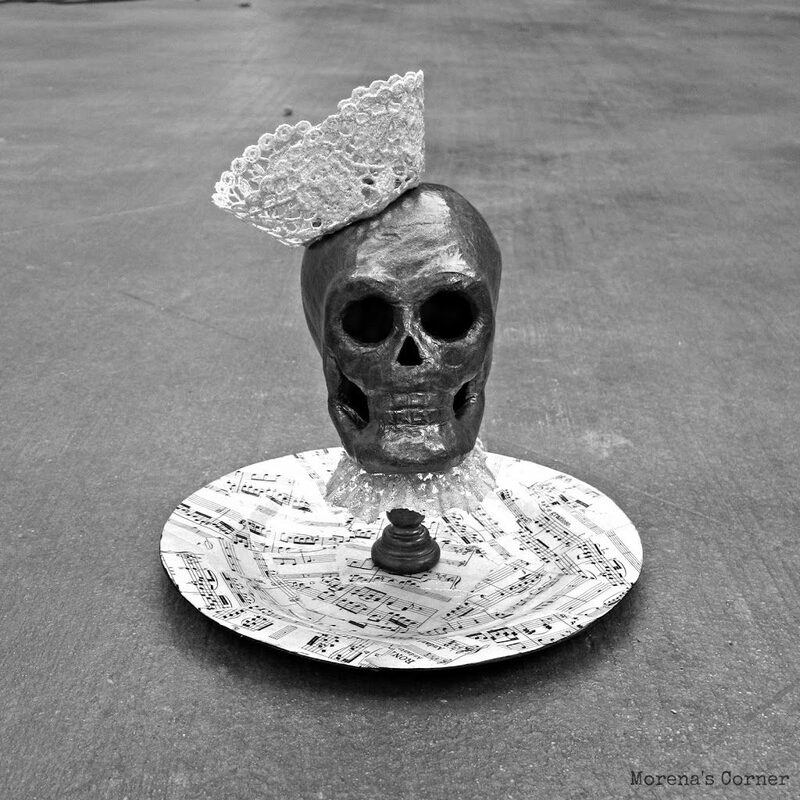 Spray paint the plate, skull, and candlestick black. 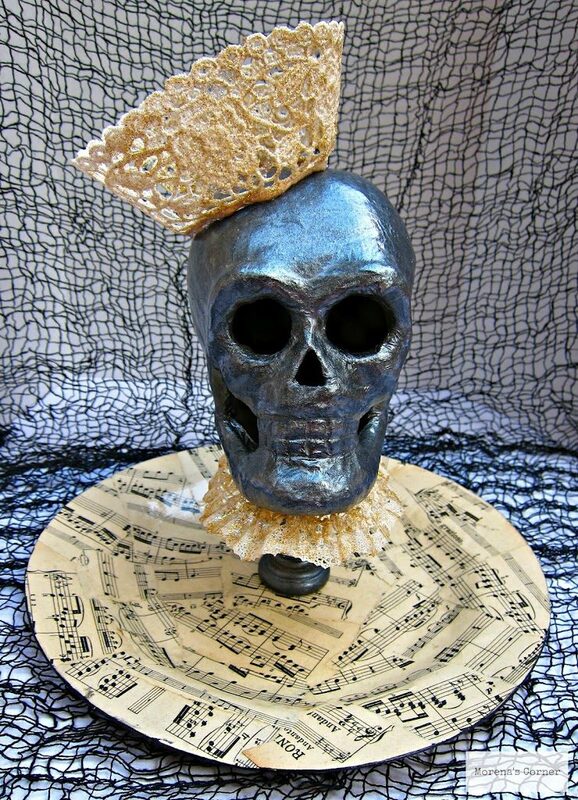 When it has dried, apply Mod Podge Shimmer to the skull and candletick. The MP dries to an amazing metallic shimmer! While that dries, start on the plate. 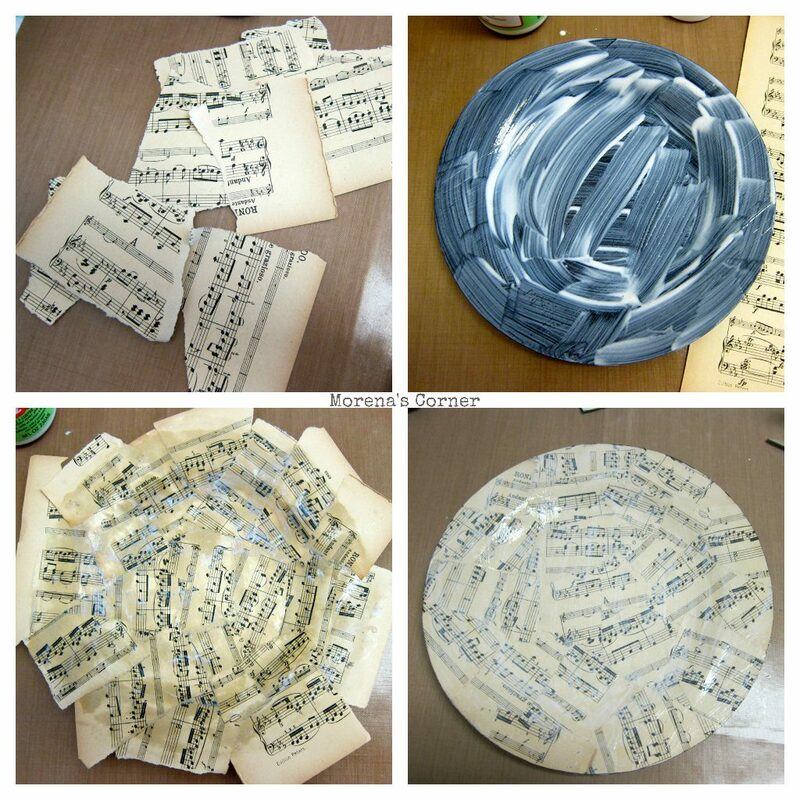 Tear sheet music paper into pieces. Cover the plate surface with MP and begin adhering the pieces. After it has dried, trim the edges and seal with MP. Back to the lace: once it has dried, it will be stiff yet malleable. Peel the lace off the paper. Trim off any excess MP, and shape the lace into a crown. You can glue the ends together or if the MP is still tacky just press the ends together firmly and they will stick. Now to assemble our queen! 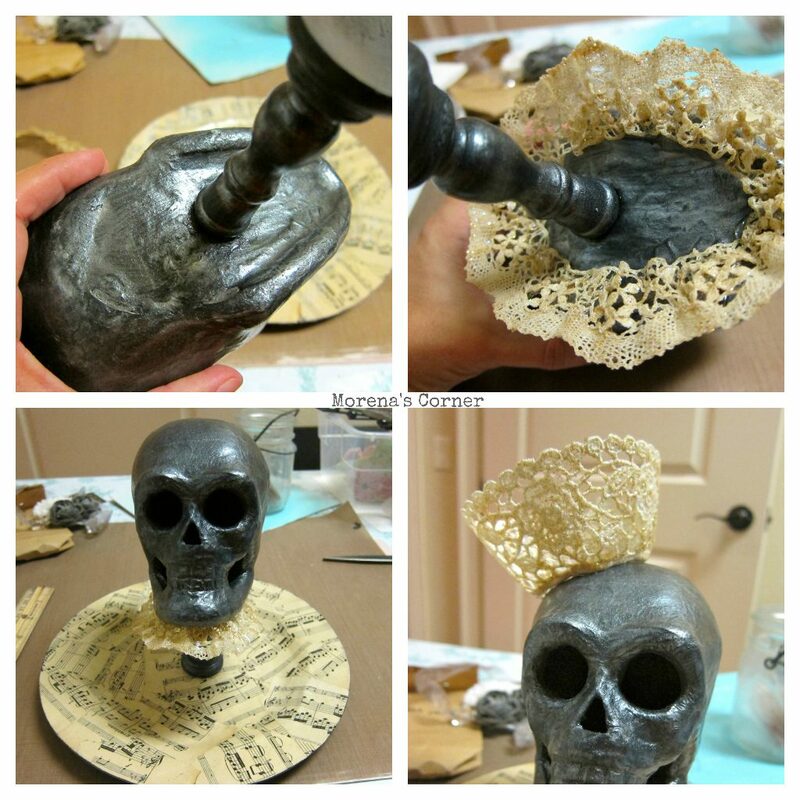 Use a glue gun to attach the skull to the candlestick. Next, glue her lace collar on to the base of the skull. 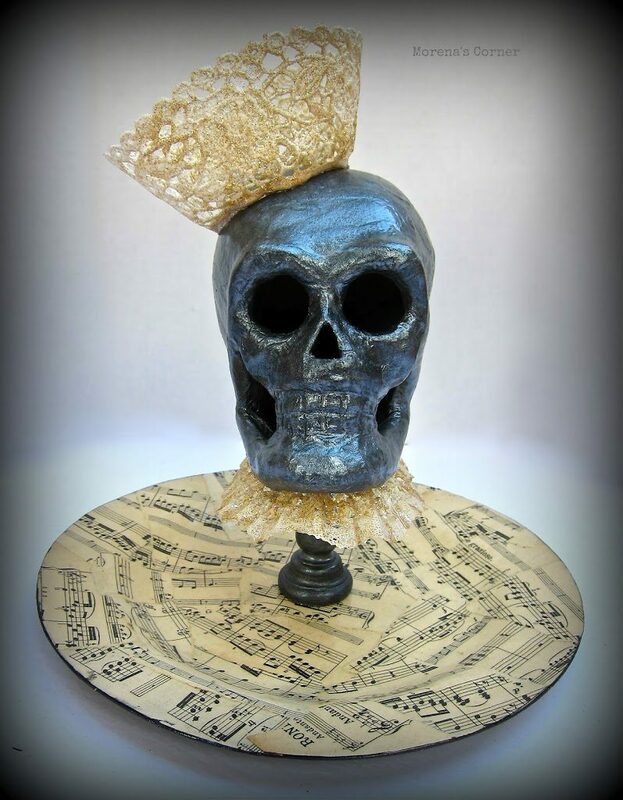 Now you can glue the candlestick to the plate and top it off with a lace crown! I think it looks good a little askew. perhaps laden with fine chocolates? She looks good coming and going! I love the way way this turned out!